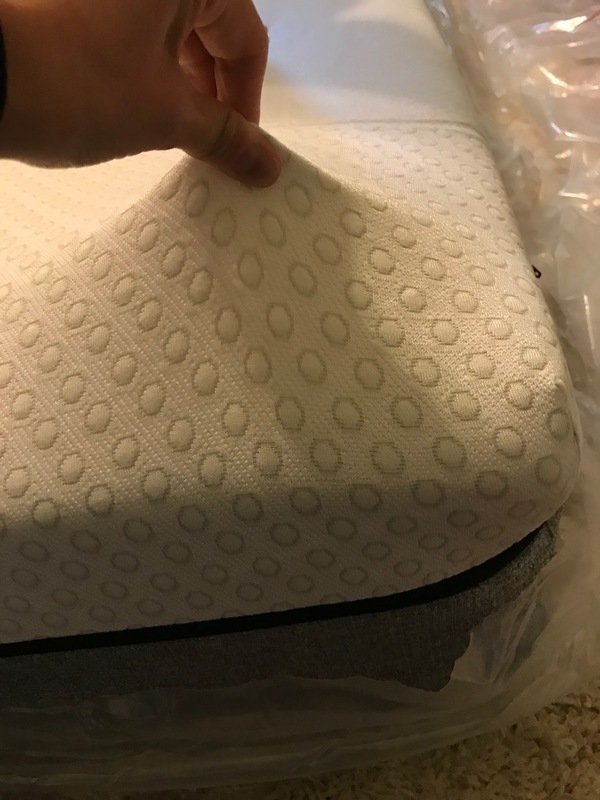 This Marpac Yogabed Mattress Review was completed by the MattressJunkie.com team recently. 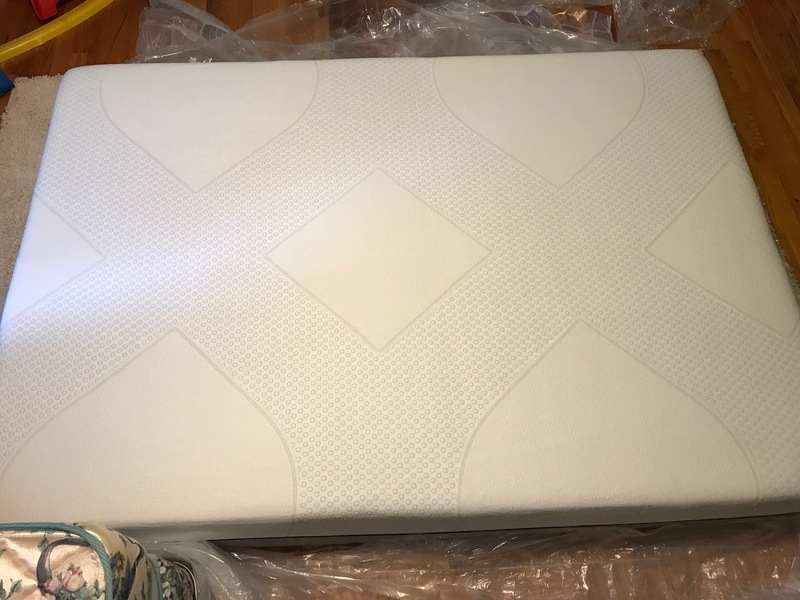 Marpac sent over their Yogabed mattress to be reviewed by the MattressJunkie.com team. This mattress is listed for $949 on Marpac’s website. Marpac is known for their excellence in service and high quality sleep products. You may have heard of Marpac before. They are the original maker of the white noise sound machine, Dohm. Over 5 million Dohm white noise machines have been sold since they hit the market in 1962. Marpac is headquartered in North Carolina and manufactures Yogabed at this location. Learn more about our thoughts on Yogabed below. The Yogabed cover is really nice. The pattern and design is top notch. Yogabed’s thermacool cover is designed to sleep ultra-cool and is removable. The zipper is very high quality so the cover easily unzips and can be washed and put back on without hassle. This was something I really value because accidents do happen and no one wants to ruin their mattress that way. Anyone with kids would find the removable cover a huge perk. The reinstallation was also very easy so you don’t need to stress over getting it back on after washing. Yogabed really exceeded my expectations with their cover design. What’s Under the Marpac Yogabed Mattress Cover? The Yogabed mattress is made up of 4 layers. The first layer is 1 inch of Instant Release Yogafoam. Yoga Instant Release Foam is an advanced material; that reacts to your body while providing comforting support. The second layer is 2 inches of Yogagel Cooling Memory Foam. This gel layer disperses pressure evenly and has 7 times the thermal conductivity of traditional memory foam providing you with an all-night cool sleeping experience. The third layer is 5 inches of breathable, high density foam base. The breathable foam base provides a cool and responsive sleep experience with 95% better airflow than traditional memory foam. The last layer is 2 inches of super support foam base to provide additional support. 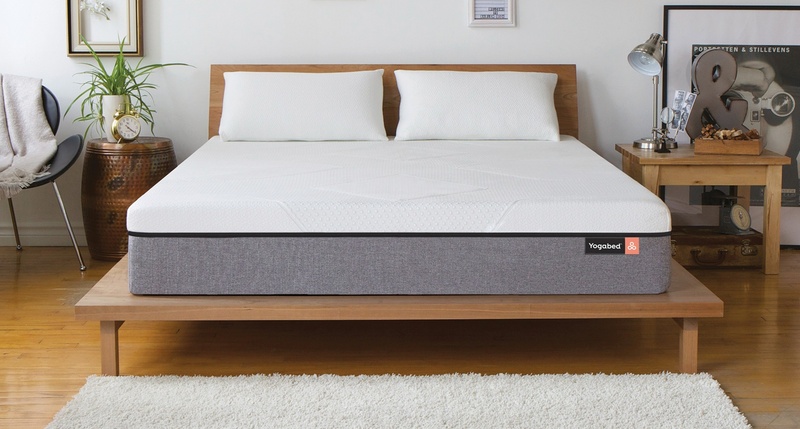 Yogabed falls right in the middle when it comes to mattress firmness. I would rate it a 6.5 out of 10 (1 would be the softest and 10 being the firmest. This medium feel works great for the majority of sleepers. What Sleep Position Works Best with The Yogabed Mattress? Marpac Yogabed Mattress would work best with side and back sleepers. Due to the softness of the mattress, large or overweight consumers may feel like they sink into the mattress quite a bit. 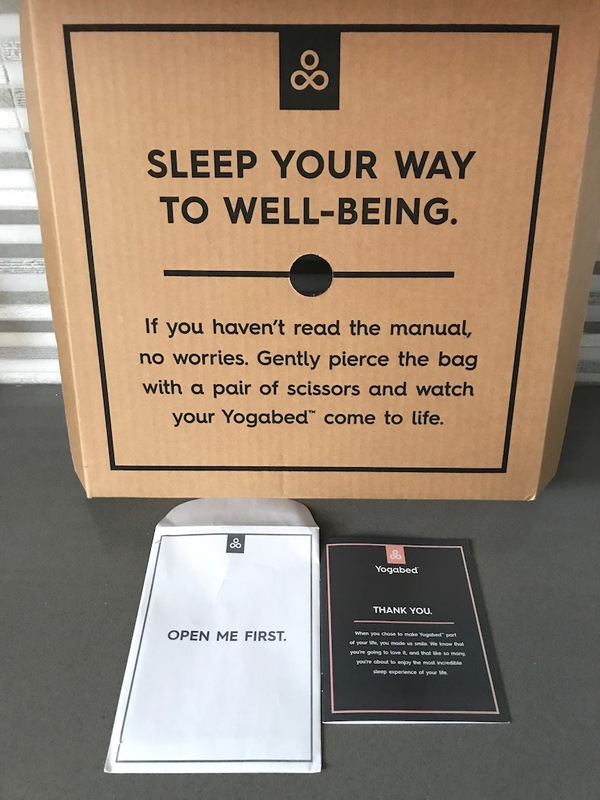 How is the Edge Support on the Yogabed Mattress? Whether you sit on the edge of the bed or sleep near the edge, memory foam mattresses don’t always have the greatest edge support. The Yogabed mattress doesn’t have the strongest edge support. This doesn’t make any difference for those who don’t sleep close to the edge or use the edges of the bed for sitting. How did the Marpac Yogabed Mattress handle motion transfer? The Marpac Yogabed Mattress handled motion transfer extremely well. I was impressed with the lack of interruption from one side to the other. What type of base should I place my Marpac Yogabed Mattress on? As you can see from the photos, we reviewed our Yogabed mattress on the ground. The Yogabed mattress works great on any flat surface though so a box spring, platform bed, or directly on the floor would be fine. 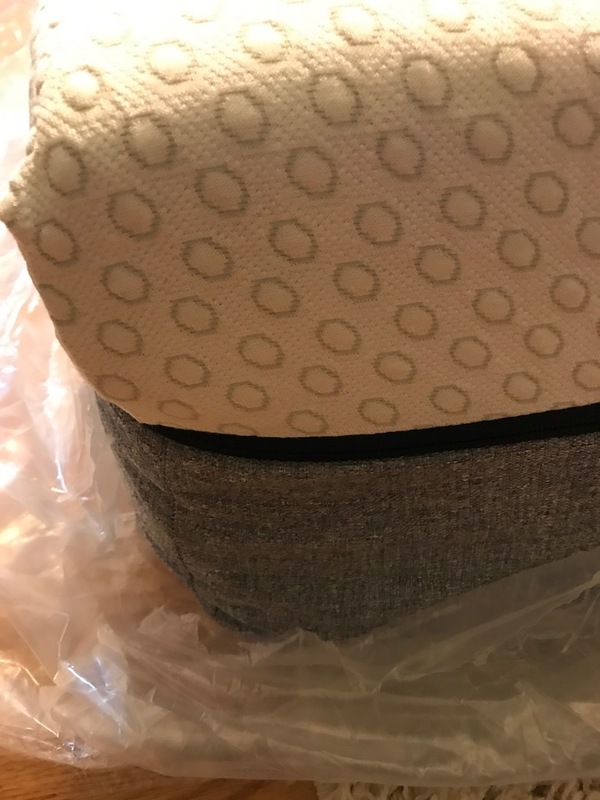 Will my Yogabed Mattress have a chemical smell when taken out of the box? All memory foam mattresses have a slight smell called off gassing when they are first opened from the vacuum sealed pack. This is normal and goes away after a short time. My Yogabed mattress had a light off gassing smell that went away in a very short time. After 24-48 hours, I didn’t notice a smell at all. What Type of Warranty Does Marpac Offer? Is there a sleep trial offered? 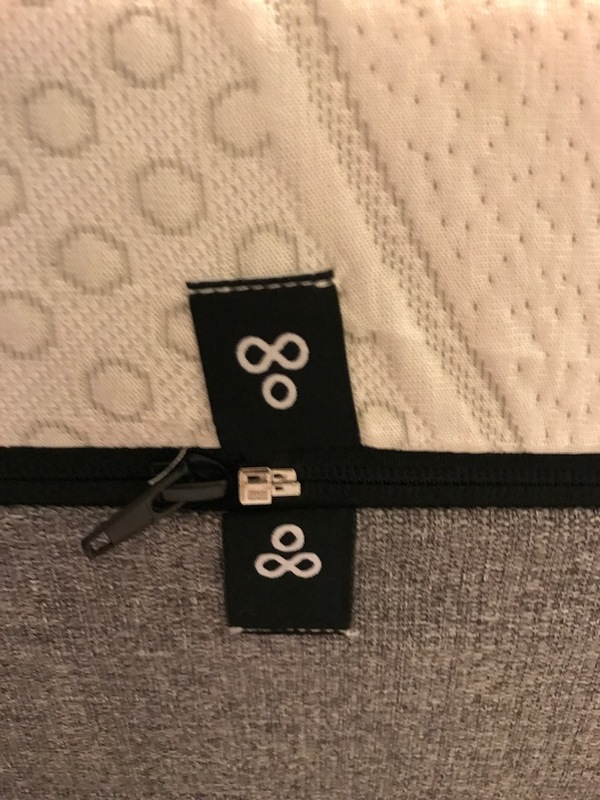 Marpac has a 10 year warranty on manufacturer defects for the Yogabed Mattress and offers a 101 day sleep trial so there’s no risk to try it out. Does Marpac Use Safe Materials When Making the Yogabed? Yogabed is made from high quality materials that are Certipur-US Certified so you and the environment are safe from any harmful toxins. Marpac manufacturers the Yogabed in the USA. How much does Yogabed cost? 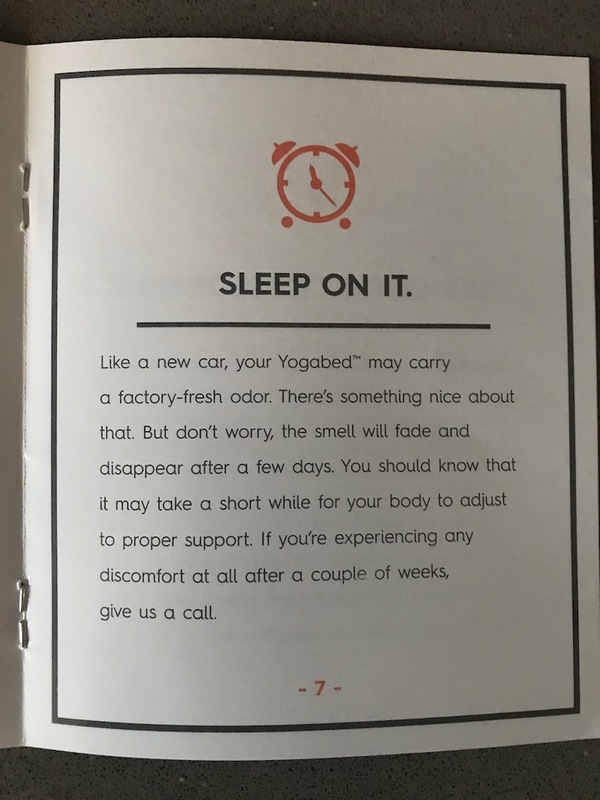 Would we recommend Marpac’s Yogabed Mattress? Yes! We recommend Marpac’s Yogabed Mattress for anyone who is looking for a medium firmness and sleeps on their side and back. 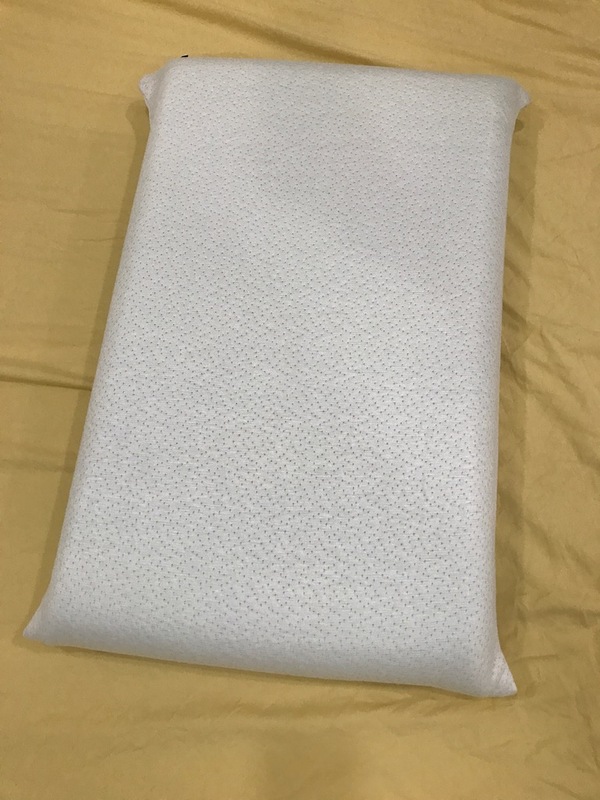 The Yogabed mattress sleeps cool all night so if you are having issues with heat retention or sleep hot, the Yogabed mattress could be a great fit. Yogabed would also work great for kids or anyone that needs to wash their mattress cover easily due to the zippered, removable cover. You also get 2 free pillows with any mattress purchase. These pillows aren’t just any pillow. They are made of Yogabed Instant Response Foam. Take my advice, they are spectacular. I absolutely love them and highly recommend. They sleep cool all night and you won’t want to sleep without them once you try them out. You can thank me later.